Synoptic Management Corporation (SMC) is a property management company with a real estate background extending over 30 years, enjoying a solid reputation of competency, expertise and professionalism in all aspects of real estate and management. At Synoptic we take pride in our ability to manage not only the physical aspects of the property, but also assume the responsibility to address all legal and/or financial issues by working closely with the Owners, Board of Managers and Directors. Hands on direction of operations and maintenance. Proactive staff supervision to create improved performance. Agenda and Mgmt., reports presented to Boards in advance of meetings. Provide prompt responses to owners and residents. Oversee alterations and building projects. Analysis and evaluation of overall building operations. Supervise financial planning, cost controls and operation budget. Our dedication to providing one-on-one personalized service and hence, more direct channels of communication ensures your board several advantages over larger management firms, not the least of which is the assurance of continuity in a managing agent. Synoptic possesses the capacity to evaluate what are often wasteful expenditures while also avoiding inconvenient delays to owners and residents. Our personnel are knowledgeable and dedicated to servicing your needs and are available year round, 24 hours a day. We welcome the opportunity to discuss your management requirements at greater length and to show you how Synoptic can make the management of your property both more profitable and less demanding of your time. Call us at 212-362-5679 to learn more about the range of property management services we offer in the New York City region. The core focus of our business is on property management in the New York City area. If you are interested in finding out how we can be of service to your property, please call us at 212-362-5679 and talk to one of our experts. Before founding Synoptic Management Corporation in 1994, David Steinberg was a real estate developer for nearly a decade in Europe and a co-owner of more than 20 properties in Manhattan. He converted numerous rental properties into cooperative apartment buildings and is a highly respected property management consultant. As a real estate owner himself, he appreciates and understands clients’ goals to maximize their real estate investment and or property values. Mr. Steinberg brings almost 35 years of professional experience to his company, which specializes in personalized, one-on-one service, and a strong focus on clients’ increasing requirements of operational and planning detail. Mr. Steinberg also spends most of his summers on scaffolding, working closely with Engineers, Architects, and Contractors, ensuring that quality work is performed. Rafael Sowinangoen has over a decade of top level experience in the management of real estate properties. Throughout the years Rafael has done it all from the bottom up, earning him a solid background within property management. In his capacity as Managing Director, he works closely with property managers, the accounting and support staff on the day-to-day care of properties making sure that they are well-maintained, meet relevant local codes, and to develop effective cost and revenue analyses for all clients to reduce operational costs and increase revenue and or property values. He is particularly adept at proactive planning and careful oversight of annual operating budgets. Mr. Sowinangoen also has great facility in understanding and working well with union and non-union building employees and dealings with building service unions, such as the Local 32BJ and Local 670. 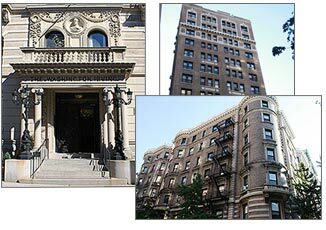 Rafael has managed prewar buildings as well as new developments with a cash portfolio of over $100million.